A couple of weeks ago, Joseph and I had to take our new Aslan truck into Dajabon, D.R. to have the horn repaired. One would think a simple horn might last longer than a few months, but not in Haiti. Believe it or not, there are 2 things that absolutely have to work on any vehicle there. First are the brakes and second is the horn! Lights are optional. 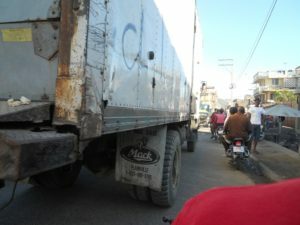 I’m not sure why we were allowed to cross the border with our truck into the Dominican Republic three times while I was there, but I’m sure not going to ask why! I’m just thankful that we had favor with both governments to do so. The challenge, however, was to navigate the bridge on Free Trade Day – in the midst of thousands of people and vehicles – and, without a horn! Twice each week Haitians are allowed to go into the Dominican Republic (at two border crossings along the 234 mile border separating the countries) to purchase items to bring back and sell throughout Haiti. Every Monday and Friday for 8 hours, there is absolute chaos as hundreds and thousands of Haitians make multiple trips across the bridge. The picture above was taken on Free Trade Day, as Joseph and I crossed into the Dominican Republic to pick up 14 members of our team. We were then allowed to cross a week later to take our team back to the D.R. I was really shocked that Joseph and I were allowed to cross a third time to get the truck horn fixed. Within a short time, we found a shade-tree mechanic on the south side of Dajabon who deftly (and professionally) installed a new horn in about an hour and a half – all for the amazing price of $62 (including the new horn and labor). As I sat there in 95-degree heat and sweltering humidity, I had the thought that Aslan should bring all our vehicles down to Dajabon for any repairs! After the horn was fixed, Joseph and I headed back for the border. Needless to say, I used the horn liberally! However, it was on the return trip across the bridge that a terrible accident took place. We were behind a long line of trucks, but a space finally opened up for us to cross the long bridge. Coming the other way was a large 18-wheel semi that we needed to squeeze by. There were 50 or so Haitians pushing through alongside the railing between the bridge and the truck when it happened. As the truck slowly moved forward, someone slipped, fell under the wheels and was instantly crushed to death. A feeling of helplessness overwhelmed Joseph and me as we sat there. There was nothing we could do but watch the tragedy unfold. People began screaming and running back and forth across the bridge. 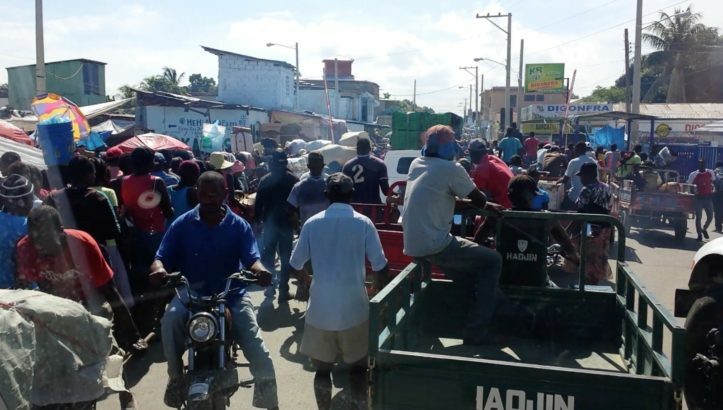 With minutes, armed Dominican soldiers ran towards the truck to try and maintain order. After about 10 minutes, one of the soldiers directed me through a tiny space that opened up between our truck and the semi. As the soldier had me inch my way forward, I “just” fit through and passed the 18-wheeler onto the Haitian side of the bridge. As Joseph and I prayed for the family of the man who was crushed to death, I thanked God over and over that He protected us from something like this happening on one of our trips across the bridge. 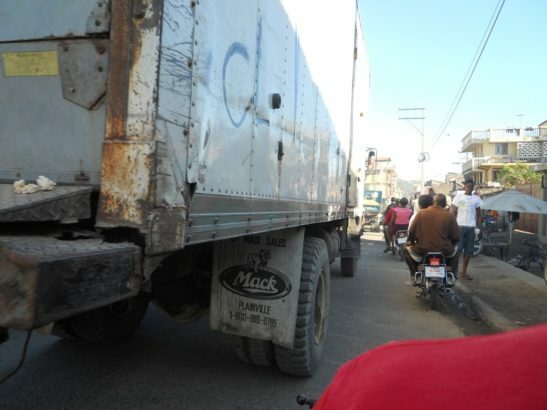 I am extremely careful when driving in Haiti, because I am acutely aware of the risks. 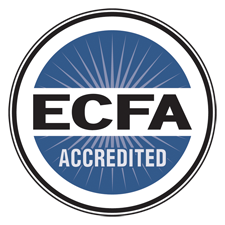 I constantly watching for people, trucks, cars, carts, wheel barrows, motorcycles, bicycles, chickens, cows, donkeys, horses, pigs and – most especially – for little children! But an accident like the one I described could still happen, were it not for God’s protection and grace every time I sit behind the wheel of a car or truck. Some people wonder why I’m willing to take the risk in coming to another country where so many things can go wrong. When people ask me, I always tell them the same thing. Although some people fool themselves into thinking so, even in America we do not live in a “safe” world. Life involves risk. Every day it is a risk to leave your house and venture out anywhere. One of my favorite sayings is “Ships are safe in a harbor. Ships, however, aren’t made for harbors!” There is always danger on the open sea where storms can sink any ship – no matter how strong it is. But with all my heart I know that the open sea is where God wants me to be.